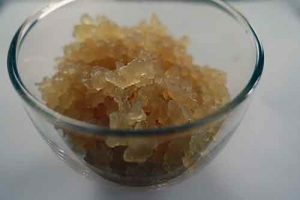 Milk Kefir is a delicious slightly carbonated fermented beverage similar to yogurt Authentic milk kefir can be made with live kefir grains. Kefir can easily be made at home. Kefir is simply milk that is fermented at room temperature with kefir grains for about 24 hours. Kefir has many health benefits, a great taste and is tolerated by people suffering lactose intolerant. Milk kefir is easier to make than yogurt. 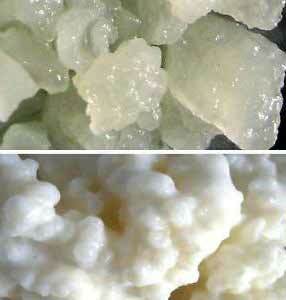 What is Milk Kefir‎ ? Kefir is a thick liquid, carbonated and slightly alcoholic beverage, which originated in the Caucasus and Tibet. It contains probiotic bacteria (lactobacillus cacasicum), which among other things also occur in various types of yoghurt. The slightly sour and refreshing taste similar to yogurt drink. Kefir is easy to make, you just need some kefir grains and milk. So no expensive probiotic drinks or yoghurts to buy, but make the Kefir yourself, Homemade Kefir is much cheaper and tastier! 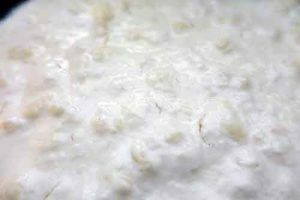 The kefir grains are sponge-like structure of lactose with live yeast cells, as it creates a probiotic product; which is good for health. Milk kefir is recommended when the intestines are out of balance by eg, a stressful period or after taking antibiotics or medications. By getting a disturbed relationship of the gut bacteria sorts of unwanted bacteria the opportunity and the body is no longer in optimum condition and can cause chronic diseases. 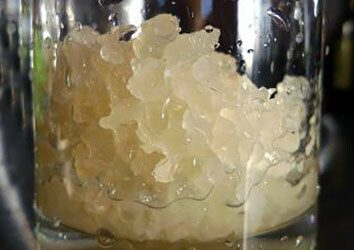 In kefir are healthy bacteria and yeasts. Kefir is a fermented milk drink that is highly nutritious and contains live probiotics. Probiotics are in a position to restore the intestinal mucosa again. 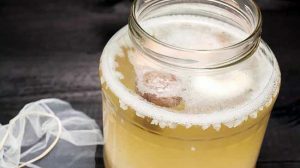 Good kefir bacteria lodge in the intestinal mucosa and there eliminate the unhealthy yeast and bacteria. This allows the casings to be restored and the immune system can function optimally because kefir contains valuable vitamins (B12, biotin and vitamin K), and also minerals, beneficial yeasts, easily digestible proteins, lactase. Kefir has a beneficial effect attributed to a range of symptoms and health problems. Like : Tuberculosis gastrointestinal disorders (or Crohn’s disease.) Disturbed bowel inflammation respiratory tract, kidneys and bladder nerve disease, ADHD, depression. The composition of kefir is very different than that of yogurt. In yoghurt, for example, is still a lot of lactose and has little or no probiotics. Kefir is easy to digest.